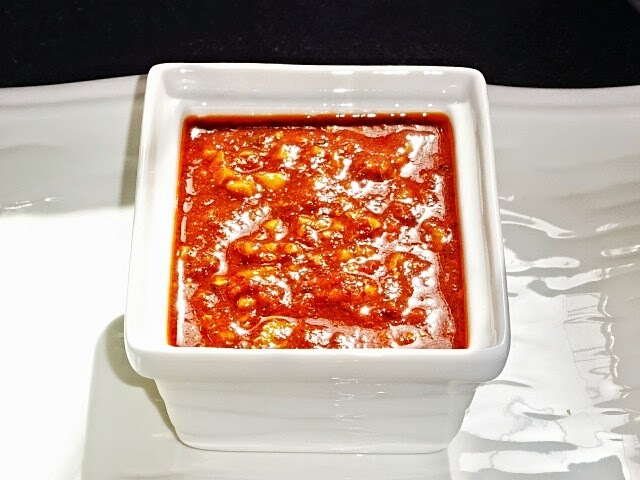 Schezwan Sauce (Schezuan Sauce) is a delicious and spicy blend of garlic, ginger and Kashmiri red chillies..
My recipe of Schezwan sauce is unique, and easiest recipe with minimum ingredient's and best part it tasted awesome. In my recipe garlic is added in good quantity. 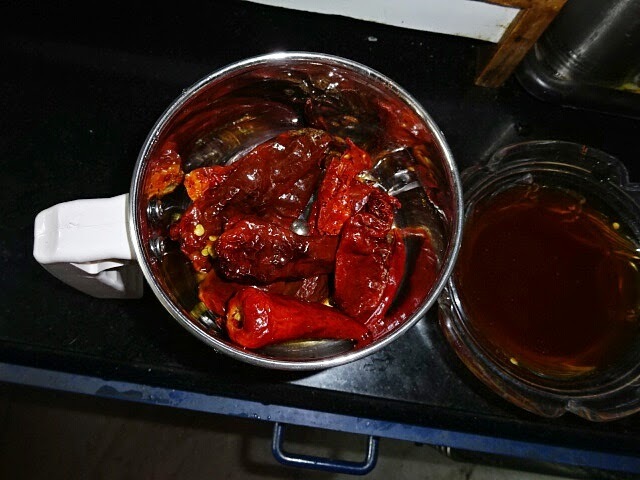 ◾Wash and soak the red chillies in water for 60-70 minutes. Step 3: Grind it into a smooth paste. 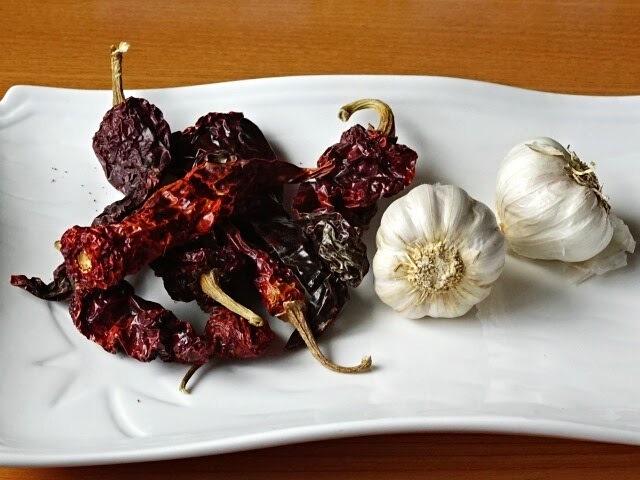 ◾Remove the stems of red chillies, put them in mixer grinder, add salt, black peppercorns, 4 garlic cloves and lemon juice. 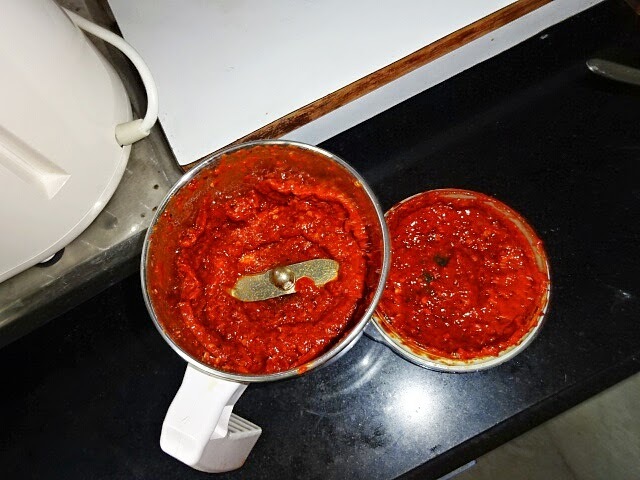 ◾Make smooth paste, if needed add water, (water in which red chillies were soaked). Don't throw that water. 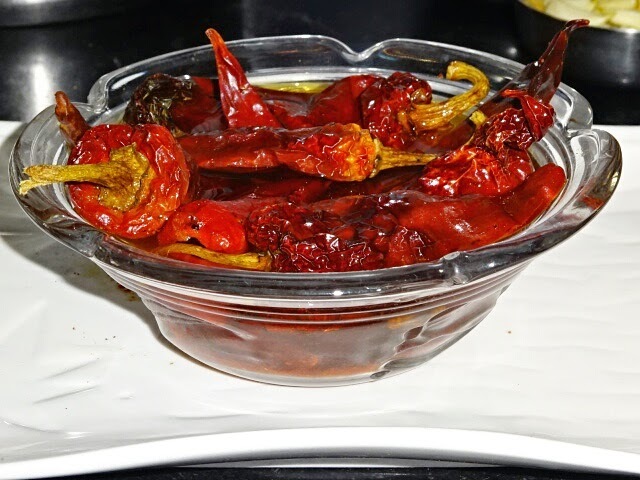 In original recipe they use Szechuan pepper or Chinese pepper (Teppal Spice). 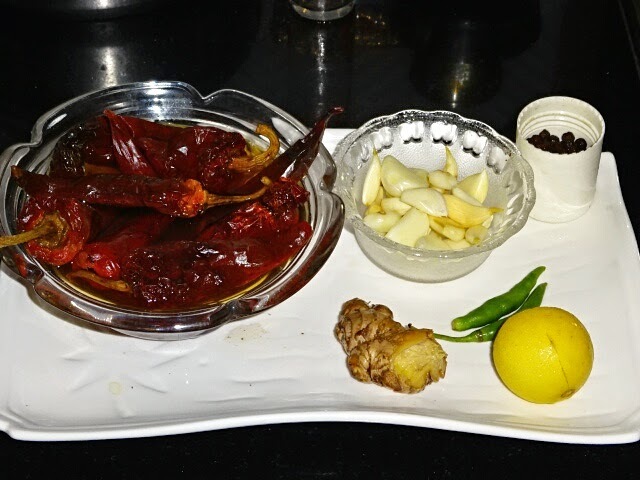 But this spice should be used in moderation as if eaten in large quantity will result is numbing affect on the lips..
◾Very finely chop ginger, garlic, green chilies, keep aside. 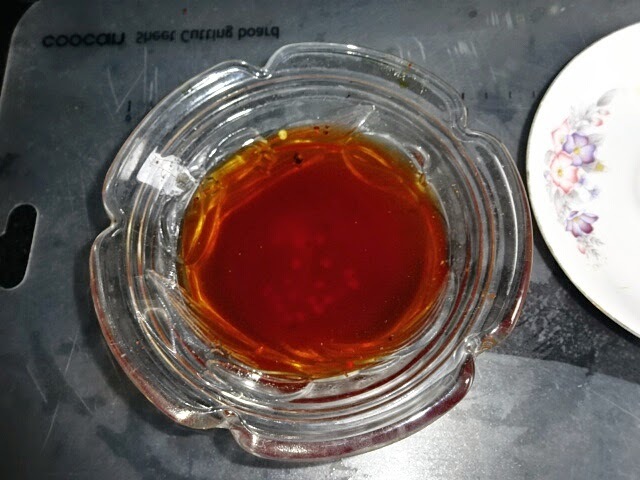 ◾Heat oil in a pan. 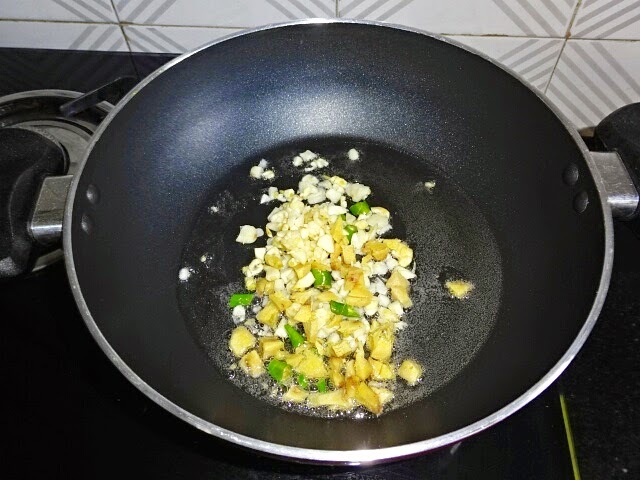 Add ginger, garlic and green chillies. Saute for 15-20 seconds. 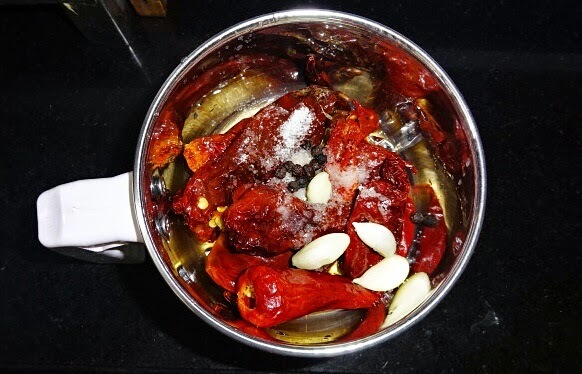 ◾Add water in which we have soaked red chillies. 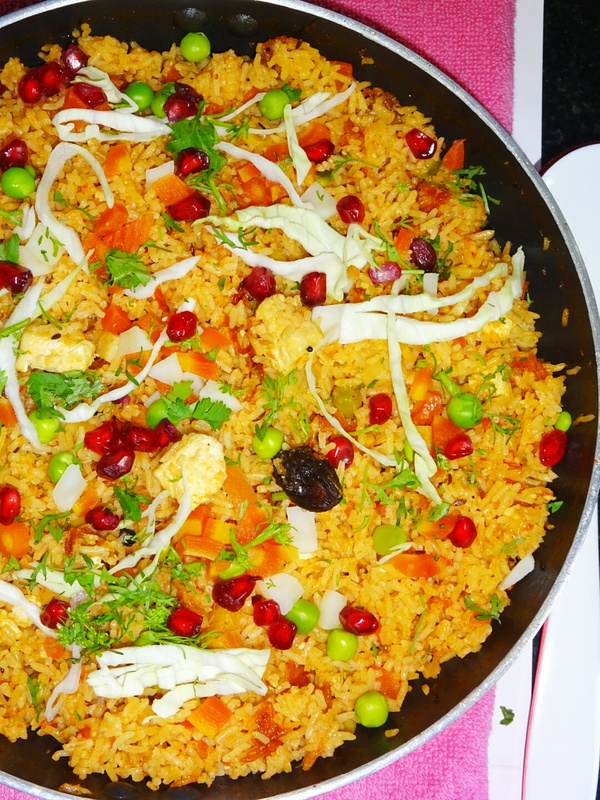 ◾Cook for 2-3 minutes on high flame, add 1 tsp sugar, purpose is to cook ginger and garlic. 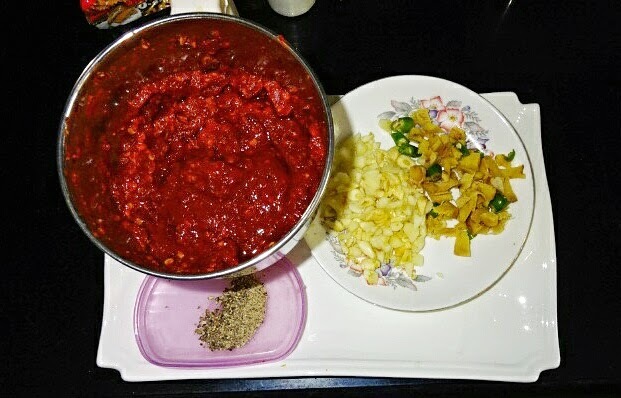 ◾Now add red chilly paste, add salt if needed, as we have added salt at the time of grinding this paste. ◾Stir continuously. 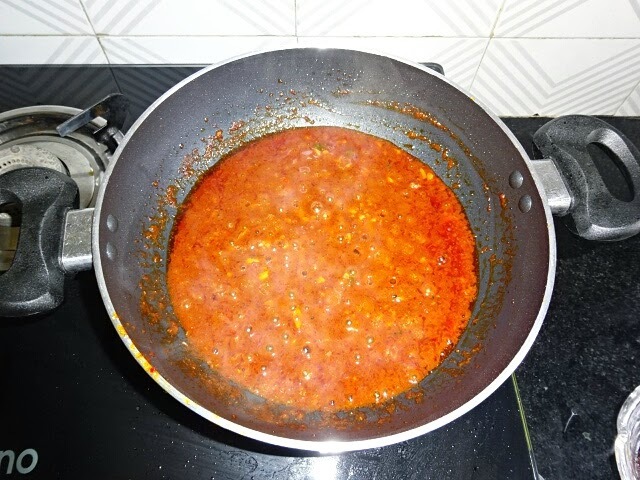 Cook this sauce for 2-3 minutes, till thickness. 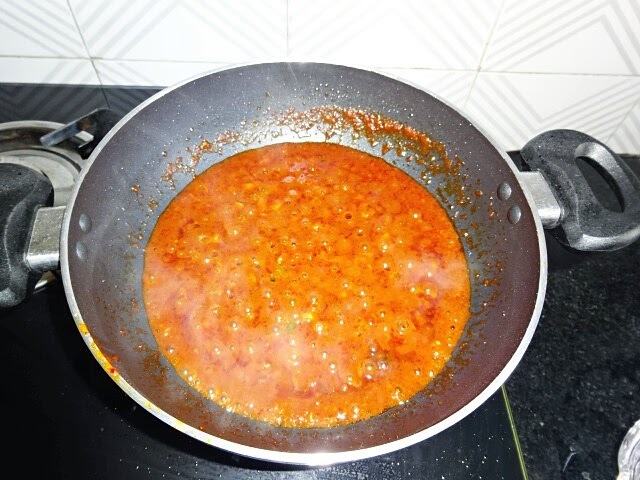 ◾Switch off gas stove, lastly add vinegar. 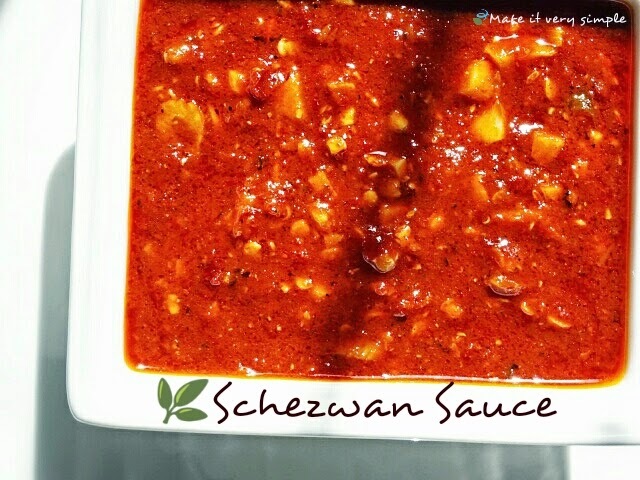 Schezwan sauce is ready to use.